Coding is becoming an increasingly important part of our technologically based culture, and at Lyonsdown, during computing lessons pupils create games and apps. 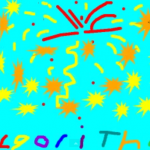 Pupils from Years 3 to 6 have been involved in creating an animation set to the tune of Pharrell William’s song Happy. 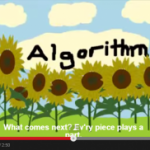 The animation, called Algorithms make you happy, explains what algorithms are in a visually colourful and fun way, using lyrics composed by our pupils alongside our computing teacher Mrs Everett. In total, over fifty pupils contributed their talents to this project which has so far received over 10,000 global views on YouTube! Our animation was also given 5 out of 5 in a recent TES Connect survey. (TES Connect isan online teaching resource site which shares curriculum resources and teaching strategies amongst teachers and other education professionals). The animation also won second prize in an ISA Art Competition. Please have a look and listen. We love it and we hope that you will too! Well does it work? Someone must try it too. Think what you need to do at the start. What comes next? Every piece plays a part. Test it out. Does it do what you planned? If there’s a problem, fix it, understand! Now let’s work out how to add a sum. Where to start? That is step number one. Then decide what is step 2 and more. Work it out to make the answer yours. Algorithms, we can make them. Algorithms, then we test them. Algorithms, fix and change them. Plan a route to make it through a maze. Different people may find different ways. As a group, work out the steps to take. Try your plan and test there’s no mistake.